Providence St. Mary has been designated a Level 1 Cardiac Center by the State of Washington. Providence St. Mary is the only hospital in Walla Walla to hold the state’s highest level designation. “This important designation recognizes the work we have done to build a high-quality cardiology program providing emergency treatment for heart attacks 24/7,” said Robert Watilo, Chief Strategy Officer. “It also recognizes the investment we have made in emergency and trauma care, such as having emergency medicine board-certified physicians in our emergency department at all times, and staffing our ICU round-the-clock with nurses certified in critical care. The Washington State Department of Health created the Cardiac and Stroke System in 2010 to improve the time it takes for people suffering cardiac emergencies to receive treatment. Prior to that, emergency medical services lacked objective information to determine which hospitals were best prepared to provide rapid and immediate treatment for cardiac emergencies. The Washington State system now provides a consistent process that impartially assesses and recognizes the level of emergency care available to cardiac patients in medical facilities. “Through our work with the state and our local EMS, our goal is to reduce the number of people in our communities who suffer disabilities or die from heart attacks,” Watilo said. Providence St. Mary’s door-to-balloon time – the amount of time from when the ambulance arrives to when a heart blockage is cleared – is currently among the fastest in the state. Speed is considered an indicator of quality. The faster that appropriate treatment can be given, the less risk there will be of death or disability. Providence St. Mary’s cardiology service is comprised of four physicians, two advanced practice registered nurses, and many other nurses, therapists and technicians. It provides a full continuum of services from diagnosis and treatment through recovery and rehabilitation. As part of Providence Health & Services, the second largest not-for-profit health care system in the United States, it also has access to some of the most progressive cardiac care centers in the nation for advanced procedures not available in the valley. 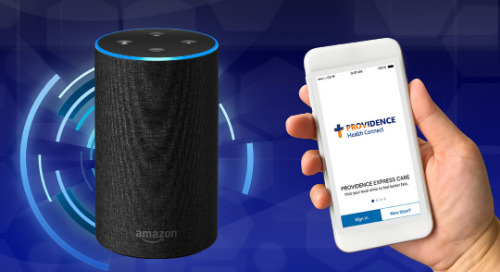 When appropriate, Providence St. Mary can coordinate care with centers such as Kadlec Regional Medical Center, Providence Sacred Heart Medical Center and the Swedish Heart & Vascular Institute. For more information, visit our cardiac center website..